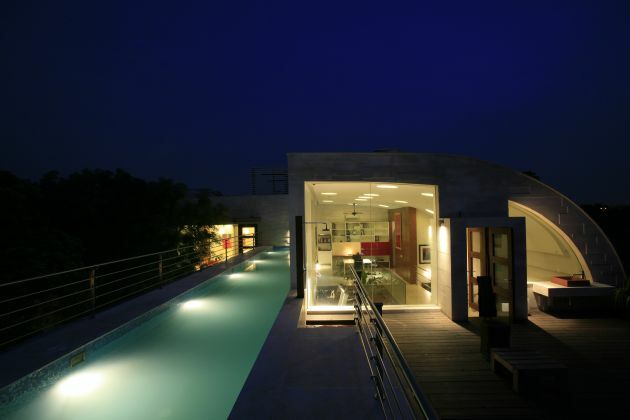 Indian architectural firm Morphogenesis, have designed the N85 residence in New Delhi, India. The house as a platform has been used to investigate two issues central to design today: the family as a social unit and the environment. The lifestyle of the Indian family has changed in the age of global travel and internet media with new spatial needs and notions of comfort. Often, local resources are at odds with shifts in lifestyle. The house sets about to create its own terrain, a veritable oasis, within its inscribed territory. 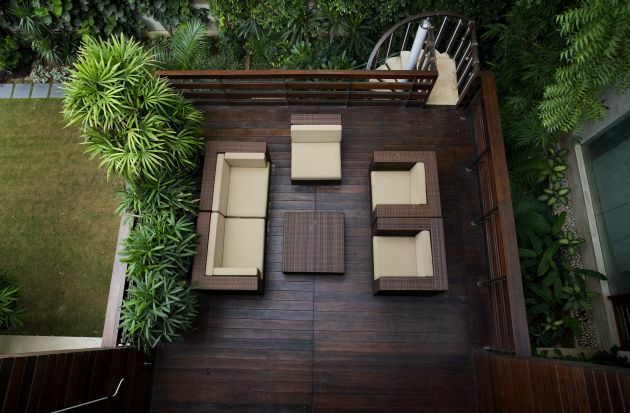 The forecourt is landscaped with gracious steps and pools. Crisp clear planes are articulated with materials: stone, wood, concrete which are simply striated or set in interlocking patterns. They come alive when light hits the different horizontal surfaces. 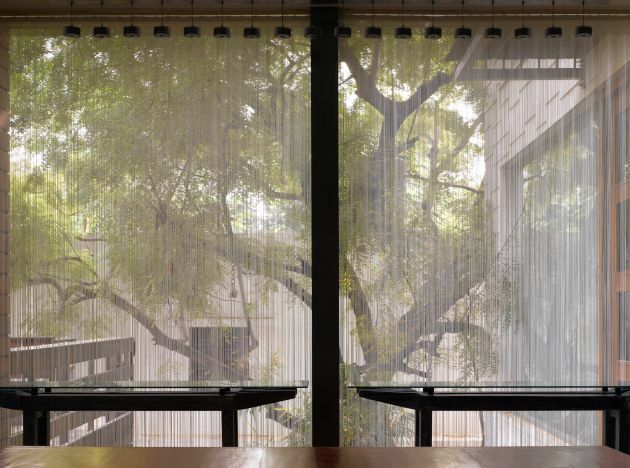 Transparency is achieved by not only by glass, but a combination of water, reflection, and modulated lighting. 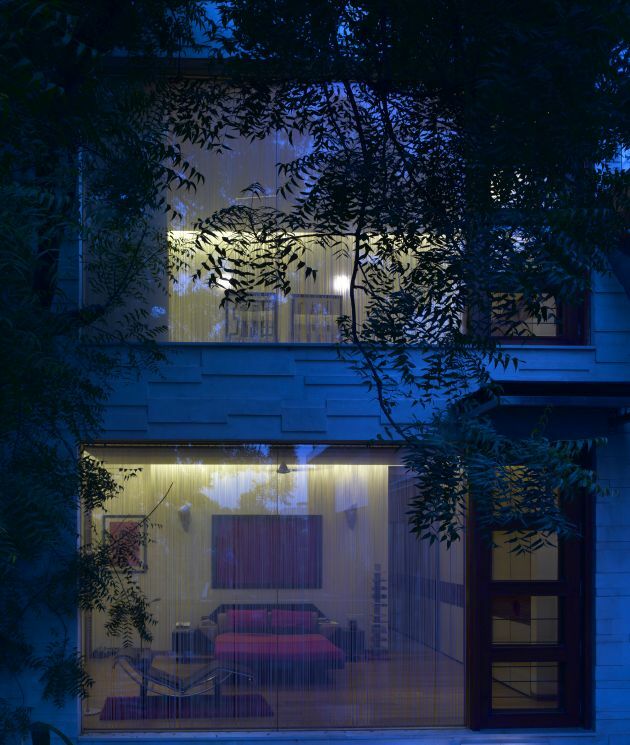 At night the house appears magical, glowing like a lantern and allowing glimpses of activity within. 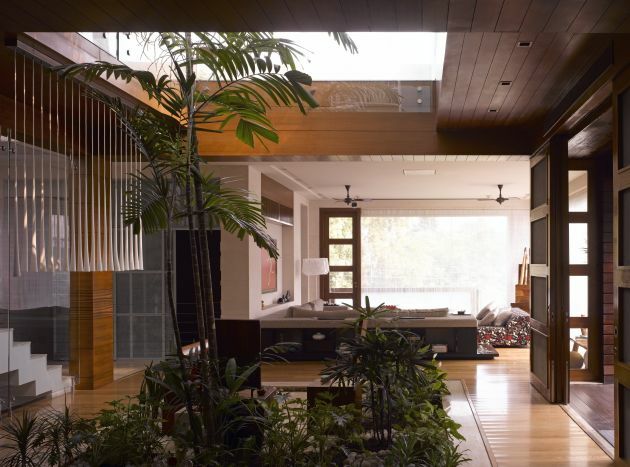 This residence multitasks as a house for three generations of a family and their many visitors, a busy workspace, and on occasion a cultural hub. 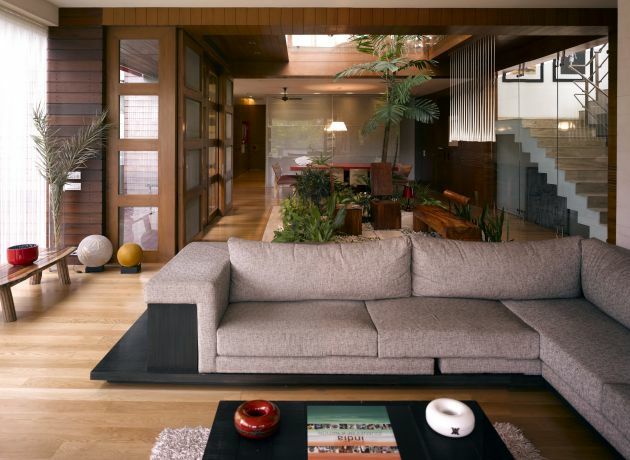 The house can be identified by overlapping spatial categories split into three levels: the private domain of the nuclear family (bedrooms and breakfast room), the shared inter-generational spaces such as the family room, kitchen and dining areas, and the fluid public domain of the lobby and living spaces. 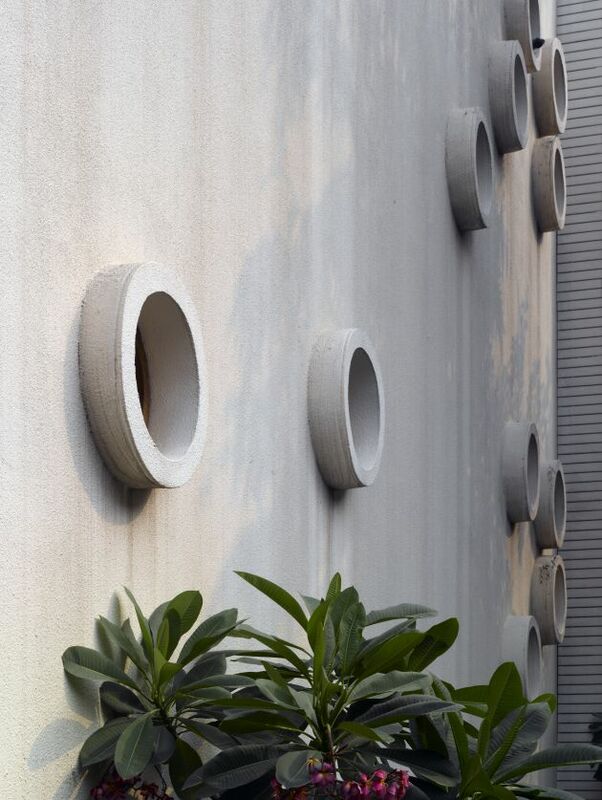 The public domain is activated each time the house opens its doors for “Manthan,” a cultural event that promotes an energetic exchange of ideas between various creative disciplines. One navigates the complex program of the house through a series of spatial episodes that are expressed via volumes. 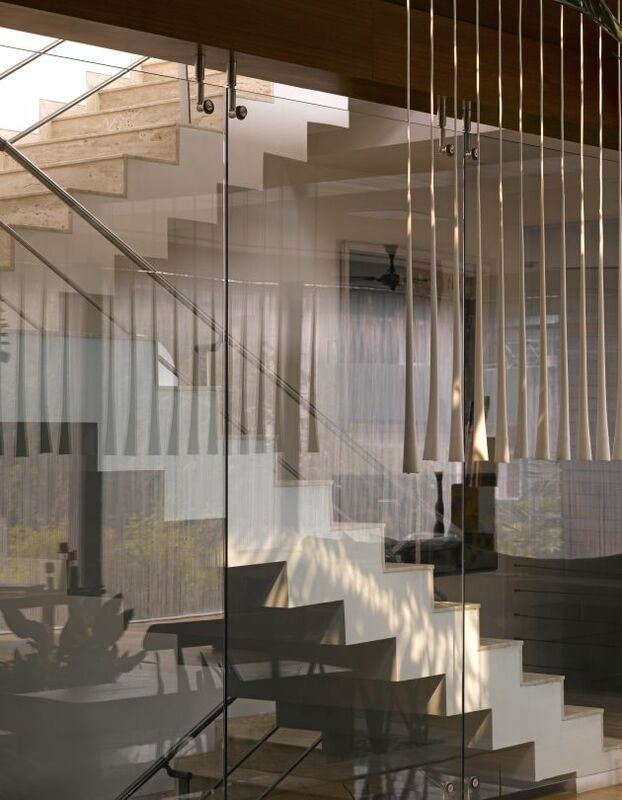 These episodes are distributed across the house, revealed at chosen moments: when descending steps cascade to subterranean offices or rooms and furniture framed by large picture windows. 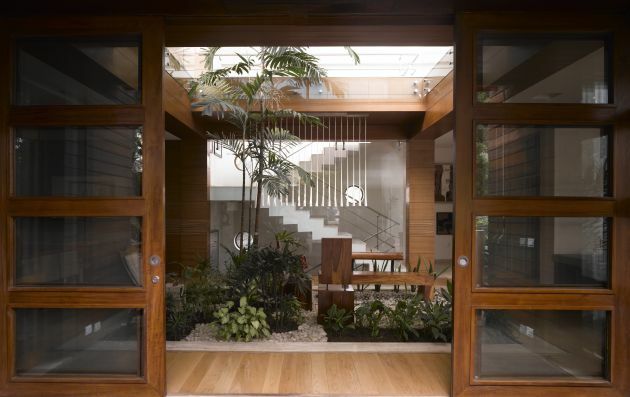 Moving through the house, it is immediately clear that the central space is the fulcrum of the project. 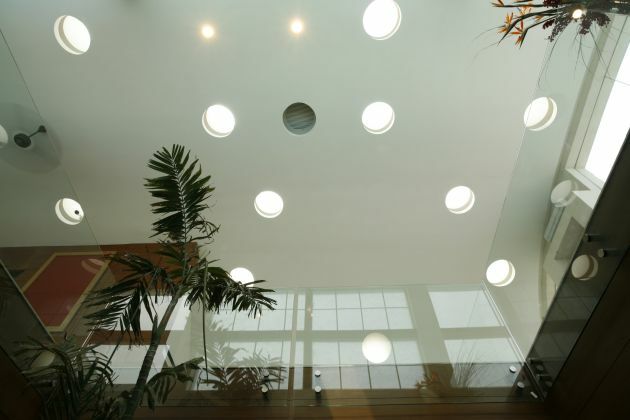 The ceiling is dotted by circular skylights with an interior garden below, a green sanctuary within the house. 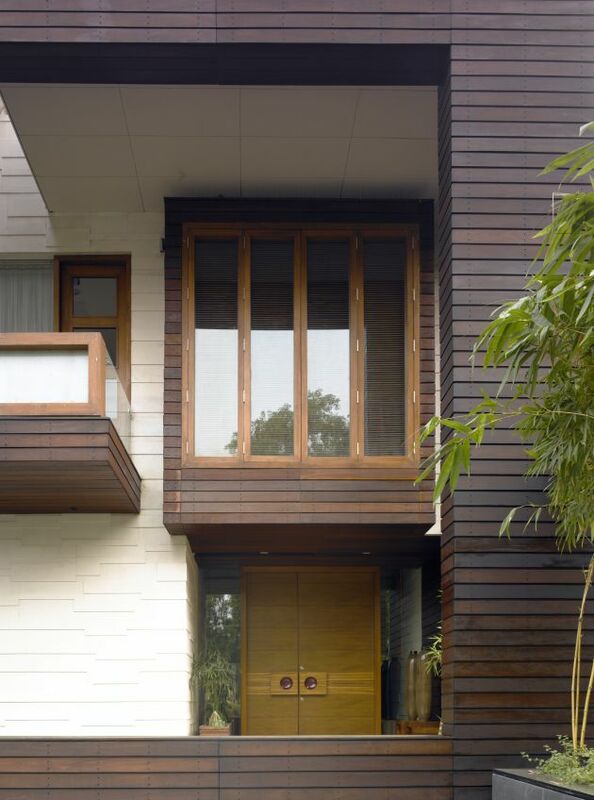 A lap pool fed by harvested rain water runs the length of the terrace on the second floor. 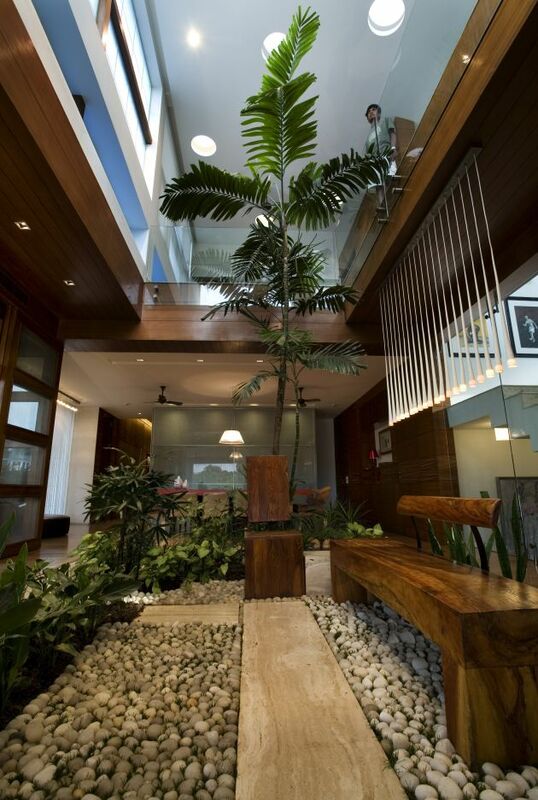 Environmental design plays an integral role in achieving a network of green and open spaces. 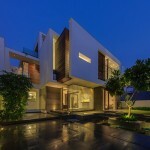 The house is imagined as a porous object whereby air movement and visual connectivity permeate into the built form. 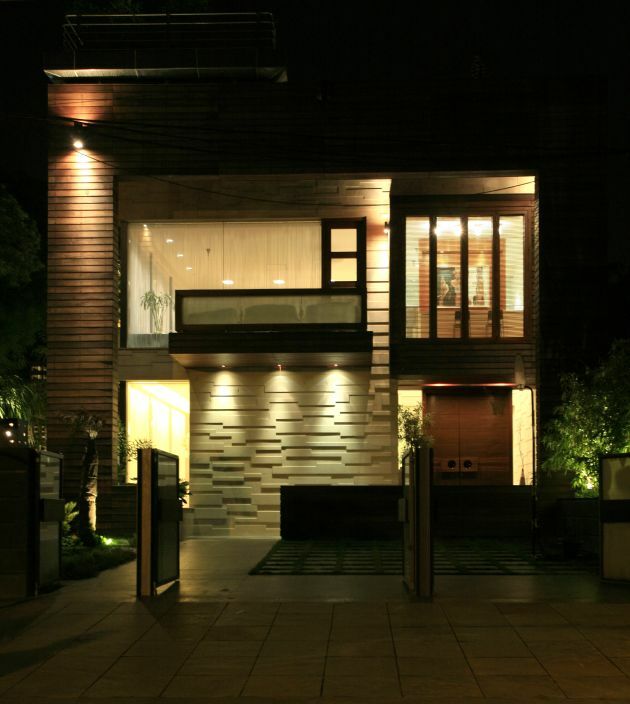 The planning, orientation, structure and materiality of the house respond to the essential passive energy efficient techniques suitable to the Delhi climate. It incorporates high thermal mass in the west, earth damping for the basement studios, landscape buffers on the south, and high performance surfaces on the east and a large cavity on the barrel roof as well as the lap pool which helps with heat absorption on the top terraces. The courtyard concept has been radically re-interpreted and along with landscape, earth, daylight simulators and carbon-dioxide sensors. 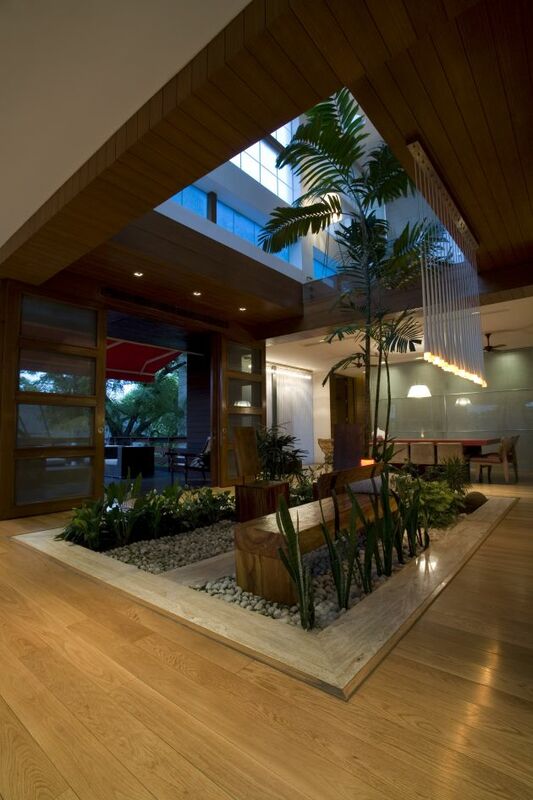 There is an entire eco-system living and growing in the heart of the house. Visit the Morphogenesis website – here.